Let's get back to basics! Sometimes the essentials are the hardest to grasp. This post is starting guide with quick tips for social media. These are the basics. Like the bare bones of social media. We are going to start simple. In fact, these are things I learned the hard way, after much work. Don't be me. Learn now. Blogging isn't easy, but there may be some obvious reasons why you're losing readers & followers. 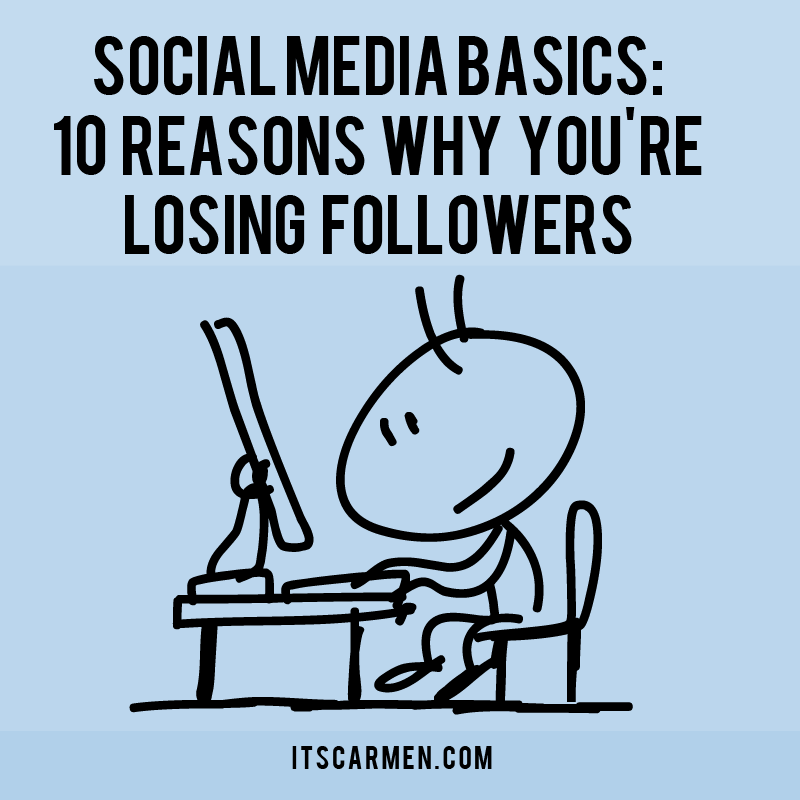 Take a little looksee at these these 10 reasons why you're losing followers on your blog & social media platforms. You can identify whatever applies to you & make the necessary changes. Your readers will thank you. One of the most wonderful parts of blogging is the ability to communicate with like-minded people to create a sense of community. 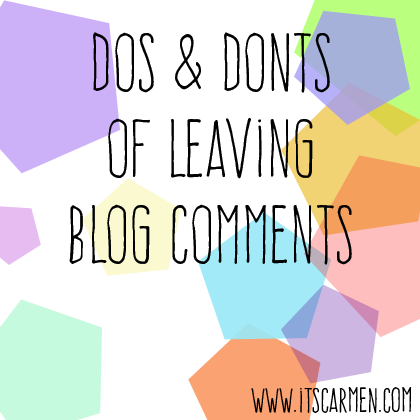 Leaving comments is a fantastic way to stay engaged with readers & other bloggers. As a social media coordinator, I've seen some genuine comments & I've seen some generic sludge. Read these do's & dont's of leaving blog comments to enhance your communication skills. Facebook is one of the social media sites almost everyone is on. Your grandmother uses Facebook, your cousin uses Facebook, & even your boss uses Facebook. Facebook is a fantastic way to garner more exposure & engagement for your brand, business, & blog. Use this guide on how to run a Facebook boost post to get a wider reach. You can boost links, photos, & even your status! Receiving a blog comment is like receiving a little gift. For bloggers, comments are heartwarming because it shows people read your blog & have something to say about it. However, there may be spam comments lurking in there which negatively affects your blog ranking. 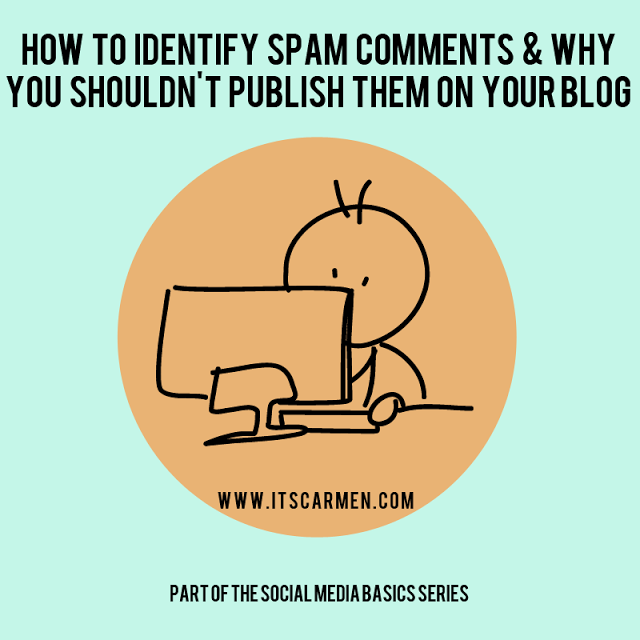 This post focuses on how to identify spam comments & why you shouldn't publish them on your blog. It's vital to be transparent, open, & honest when it comes to blogging to ensure your readers trust you enough to come back. In the U.S., it's required by law to disclose if a post is sponsored or if you receive money or free items in exchange for posting. 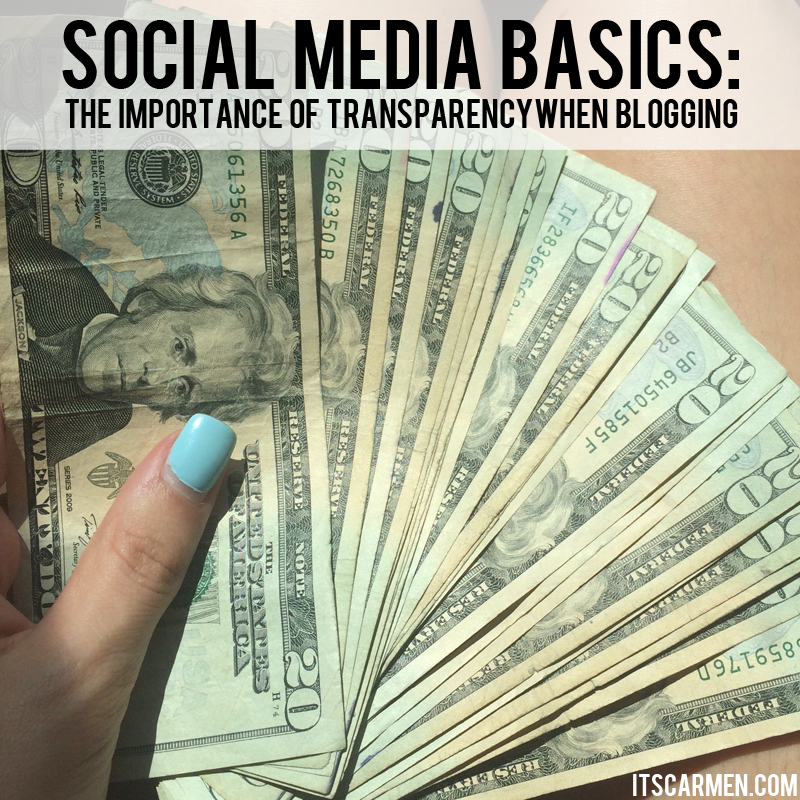 Read more about why you need to be transparent when blogging. 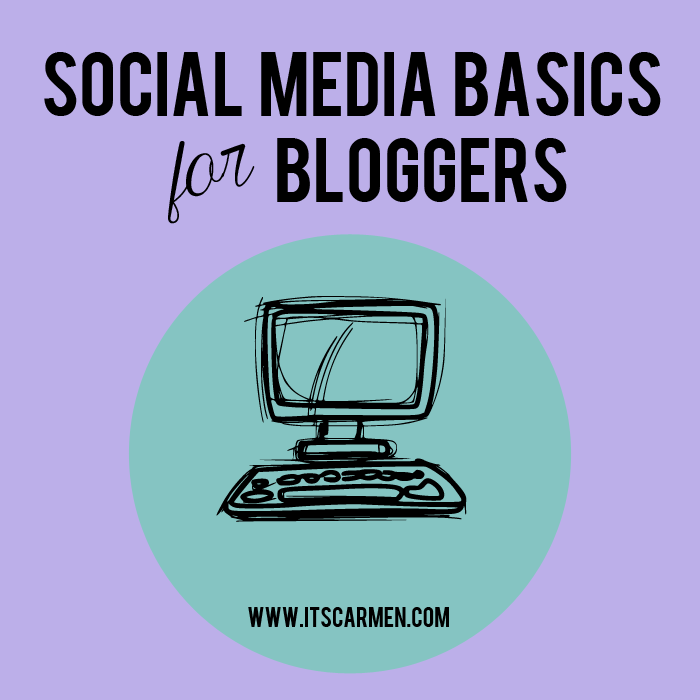 Balancing social media & blogging can be difficult. Add styling an outfit, doing a photo shoot, choosing & editing photos, on top of writing the post itself & you're in for quite a task. 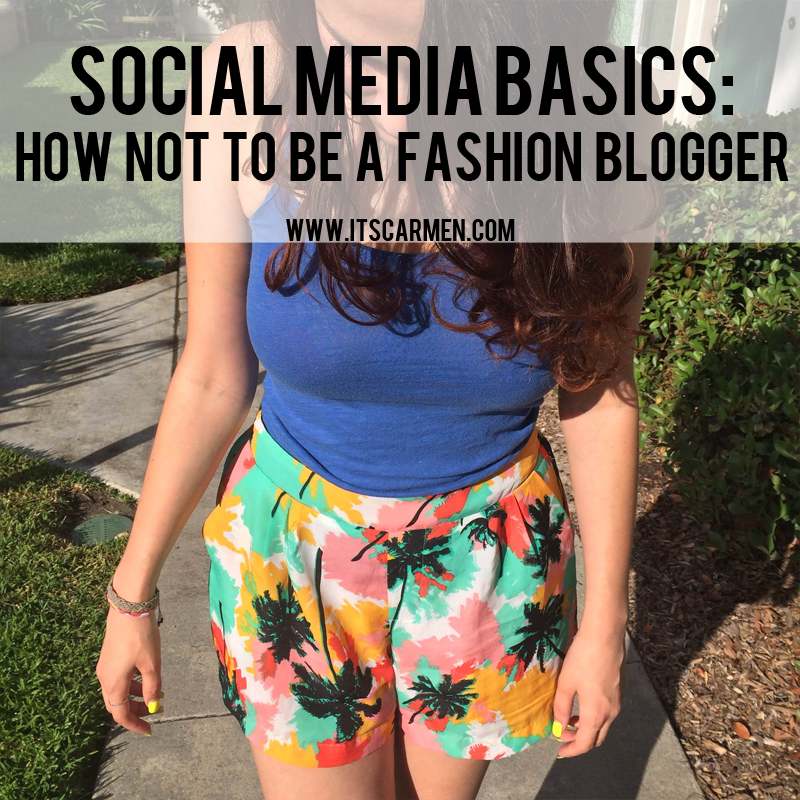 Consider these social media basics on what not to do when it comes to fashion blogging. Some of these are extremely easy fixes. Very helpful. Thanks for sharing. Don't quite have the guts to promote my blog on Facebook. Not sure why, maybe because people won't understand it? Hey Carmen ! Thank-you so much for this post. I am trying to get back into the blogging game with more posts and promote more and you offered some wonderful tips . 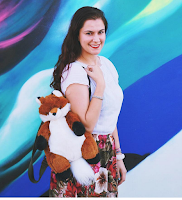 Really nice review and collection of posts Carmen, I love the way you propose this ideas. Thanks for the nice work. Good tips, very useful. Thank's a lot! What an extremely informative article! Blogging is definitely not as easy as one would think (I would know haha). I have a such a hard time balancing everything which is something I need to work on when the new year begins. Thank you so much for this! Have a Happy New Year! Great tips! I totally agree with these! Thanks for sharing! Amazing read with great tips. Thanks for sharing cause I found this to be really helpful. I found this post super helpful. Being better at social media is something I want to focus on for 2016 and all the above (especially the post about comments and why you loose readers were fab). As a social media manager, would you mind sharing your thoughts on different platforms and which are best for what in a post? These are just what I needed! I just started this blog and I am still learning so much!! Lovely tips on socoal media. I think we all hate those generic comments on a blog post and grear to avoid publishing them. I have found I get more out of instagram than Facebook for social media. What a great post... Nice round up of links! I completely agree with the "Blog commenting" points that you make. It really is little value and very little effort to community building when people just comment, "Nice!" or something of that effect. This was a really helpful round up, I love reading things like this- so much so that I often find I've accidentally spent hours reading instead of a couple minutes!